My name is Logan Hartson and I am currently working as an intern in the Animal and Dairy Sciences Department with Dr. Brandi Karisch and Dr. Dean Jousan for the summer. I am from Texas and am a senior at Texas A&M University. I will graduate in December with a bachelor’s of science in agricultural leadership and development. As a child I was raised in a rural area on forty acres with horses and chickens and many other animals. I have been riding horses and competing in rodeos since I was five years old. With this as my background, I would like to work in the agriculture field. I am not decided on what career I will pursue, but after completing this internship I will have a basis to make my decision on whether this would be a possible career choice. To say the least the first day of my internship was interesting. I had done a run-through with my mother a couple days before my job was to start so I would know how to get to work. Well as it turned out, my first day I left an hour early and was late anyway because I got lost. The day quickly turned around after I arrived for work. Dr. Karisch introduced me to Mrs. Graves, who is the undergraduate coordinator for the Animal and Dairy Sciences Department. Quickly after being introduced I helped Mrs. Graves set up a booth at the Colvard Student Union on main campus for the Animal and Dairy Sciences Department. 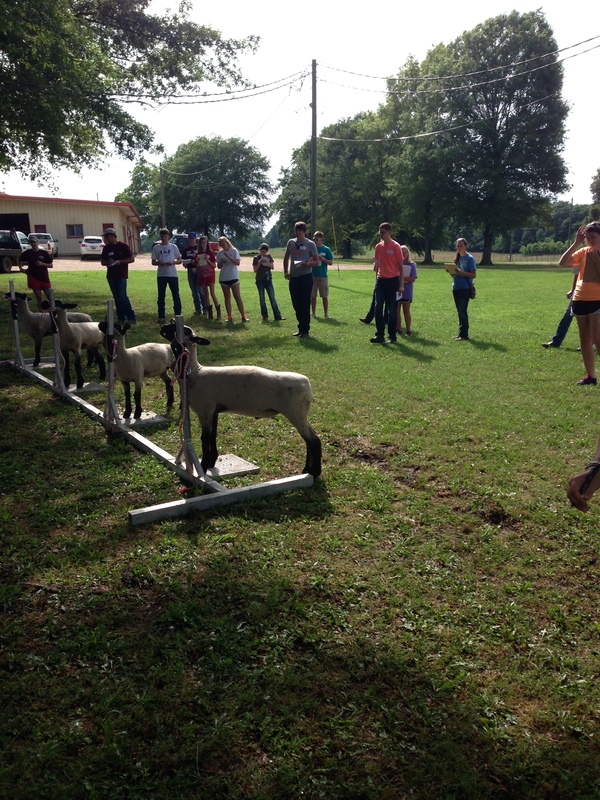 This was to display information to the FFA students on campus that were here for FFA convention. After Mrs. Graves and I returned from the student union, I went with her to give a tour to a group of FFA students of the Animal and Dairy Sciences Department. After the kids saw the lab rooms, we took them to the horse unit and beef unit. The kids were given a hands-on activity by being able to feel the rumen of a cow. The cow was a cannulated cow as I learned, which means they have a permanent opening in their side where the rumen is located. This makes it easier for the veterinarians and researchers to study their digestive system. All the students were given the opportunity to reach in and pull foodstuff from the rumen. The tour was also supposed to include the dairy unit, but because of our time constraint we were not able to go to that location. 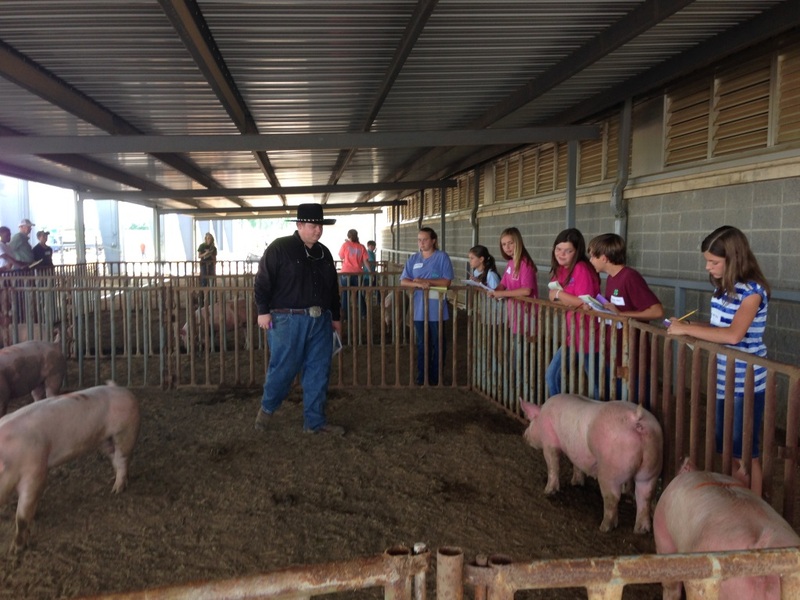 The next day I actually was given the opportunity to judge an event for the FFA convention. I and two other students did the judging for juniors and seniors in the extemporaneous speaking competition. The kids were only given a short amount of time to pick a topic question and then write a speech answering the question. It was entertaining and fun to see how well these kids performed. On the fourth I traveled with an extension agent from Webster County, with Ms. Jennifer Williams, to Fulton for the 4-H Achievement Day. 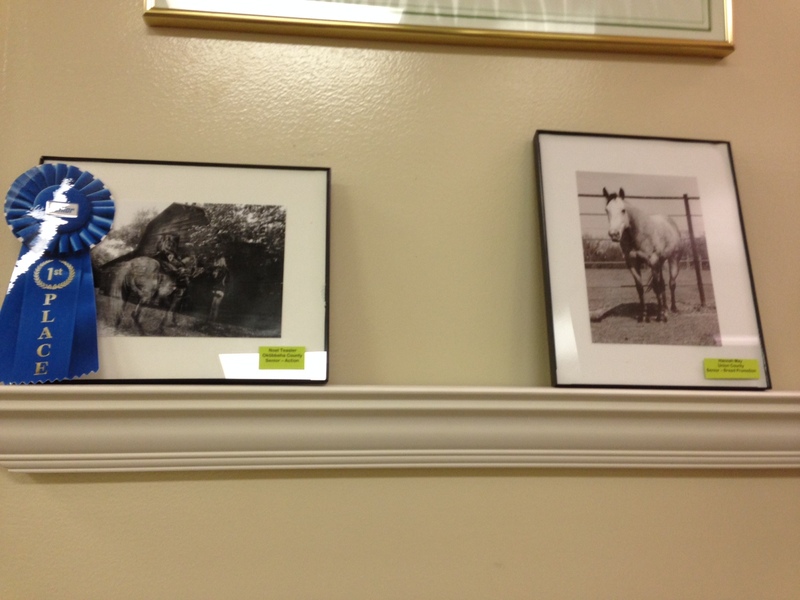 I was a volunteer for the cattle, sheep, swine, and meat goat category. There were four kids who had presentations in this area and were being judged, as it was a competition. Tomorrow I will be helping the livestock judging coach, Mr. Crow, with the day camp he is putting on at the horse park. I will assist him with the younger aged kids in helping them find their groups and where they are supposed to be, helping with the check-in booth, and also photographing the kids while they learn what the judges look for on different animals. I am looking forward to the vast number of activities that I will partake in over the course of the summer!